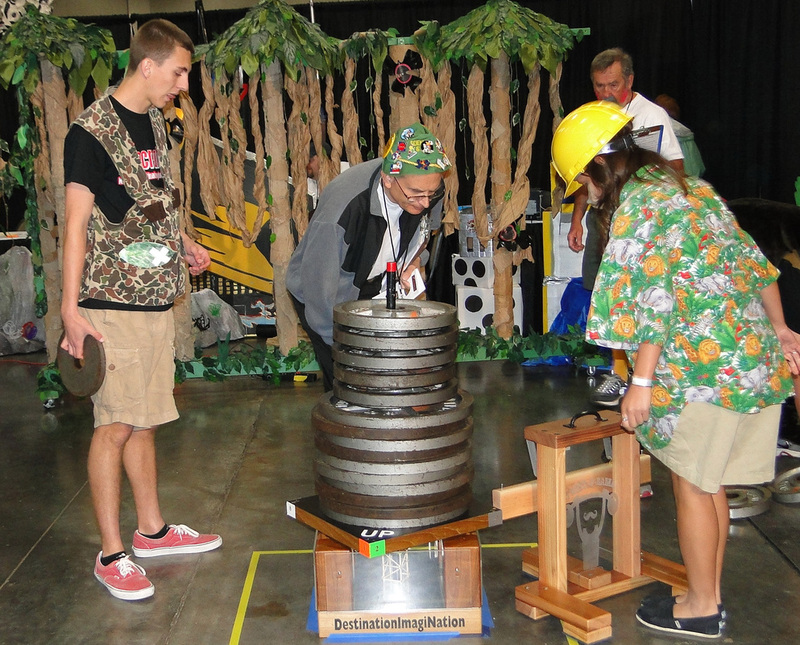 The Engineering Challenge asks teams to design, build and test load-bearing structures out of specific materials. Hold it together and let it play out in this musical mashup. 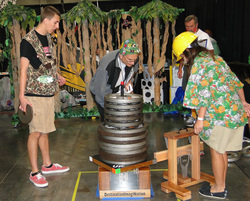 In the past teams had to design and build a light weight structure (it is located inside the tester) that would both hold weight and withstand the impact of the ram.